Hello there! 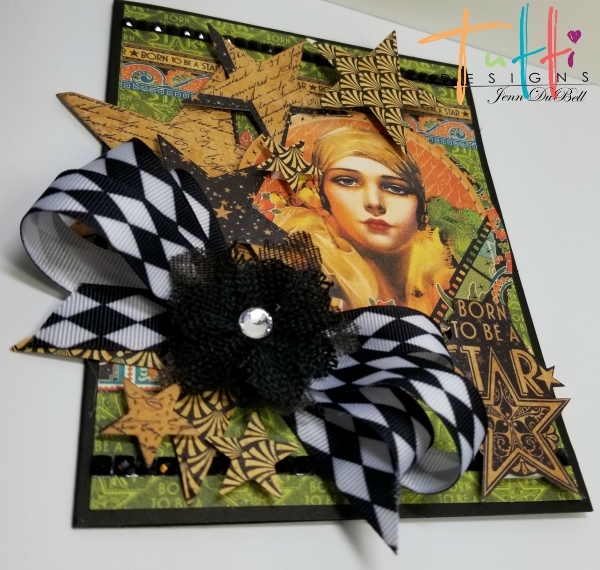 Jenn here sharing my vintage card with a Hollywood feel! 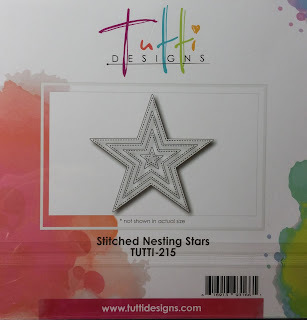 The amazing Stitched Nesting Stars dies from Tutti Designs were perfect for this card! 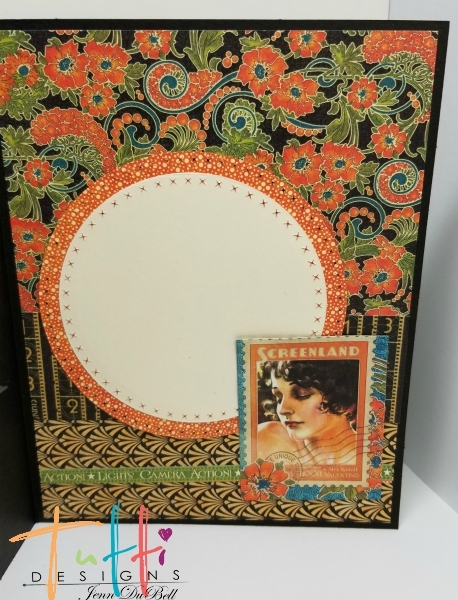 I used them in combination with the Cross Stitched Nesting Circles dies and used Graphic 45's Vintage Hollywood paper collection. Adhere all pieces using adhesive tape runner for inside and then do the same on front. 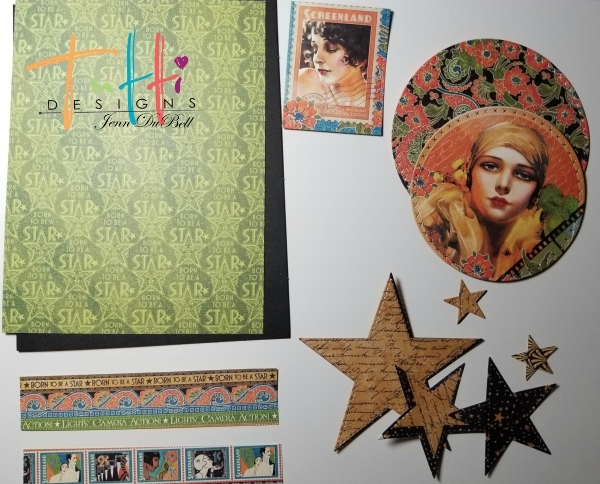 Once front background is complete and all papers are adhered, add black jewel strips to top and bottom as an accent then add stars using foam adhesive squares at different heights to raise them up. Add a bow. Add the cut-out sentiment. Here is the card at an angle that shows the dimension. Thanks so much for viewing my post today! I hope that you enjoyed it! 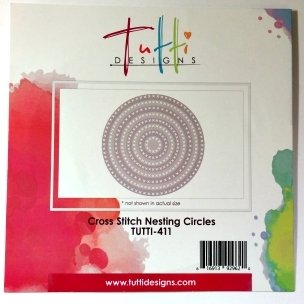 All of the Amazing Tutti Designs Dies are available online HERE. Until next week! Stay creative! WOW this is beautiful Jenn! 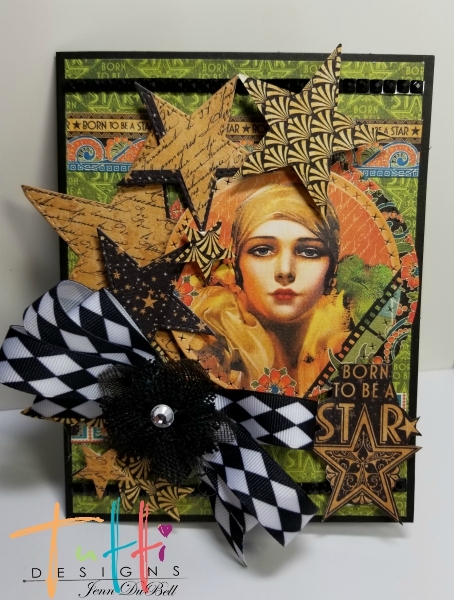 What a fabulous card using stars & circles! Thanks for inspiration! Very beautiful and stylish work! Hey cool job with the stars. Way to go!